October 21, 2018 5:57 pm. English horse Red Verdon will press on to the Melbourne Cup despite disappointment at Caulfield. Robin Trevor-Jones believes the Caulfield Cup is a race that got away from European horse Red Verdon. Trainer Ed Dunlop’s travelling foreman said Red Verdon’s 11th behind fellow international Best Solution in Saturday’s Caulfield Cup can be forgiven after the way the race was run. After a slow start, jockey Zac Purton had Red Verdon tucked away on the fence while in the straight he didn’t get clear galloping room. “It’s one that got away,” Trevor-Jones said. “But I can’t blame anyone. The only one to blame was the horse that got through the front. “After that our bloke was kicking out and then jumped a bit slow and that put us in trouble straight away. “We felt there was going to be a lot of pace in the race. Zac’s got in and the rest is history as they just trotted. 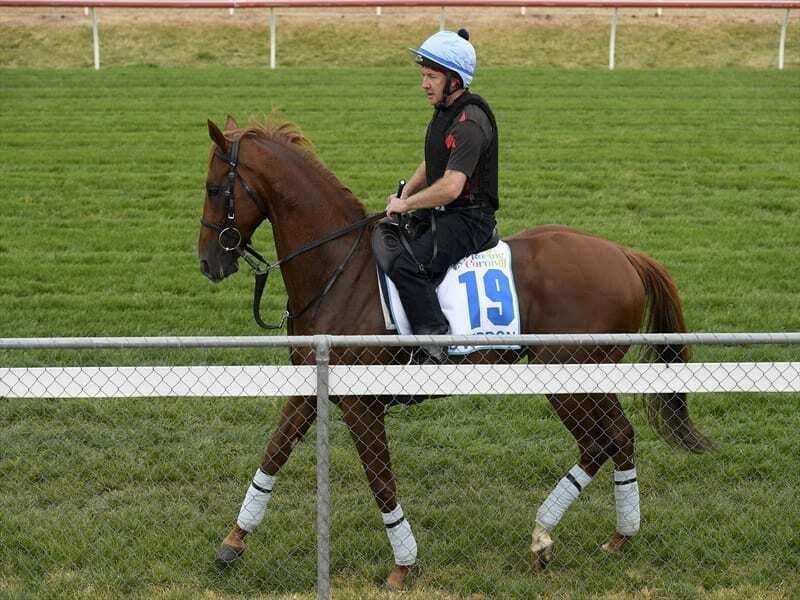 Trevor-Jones said Red Verdon would press on to the Melbourne Cup for which he’s currently 29th in the order of entry. Up to half the 24-horse Melbourne Cup field could be made up of international runners with a strong European contingent. Trevor-Jones believes Withhold has strong credentials and likes the look of the Aidan O’Brien-trained pair, Yucatan and Rostropovich. “I think it’s a pretty good European team,” Trevor-Jones said.